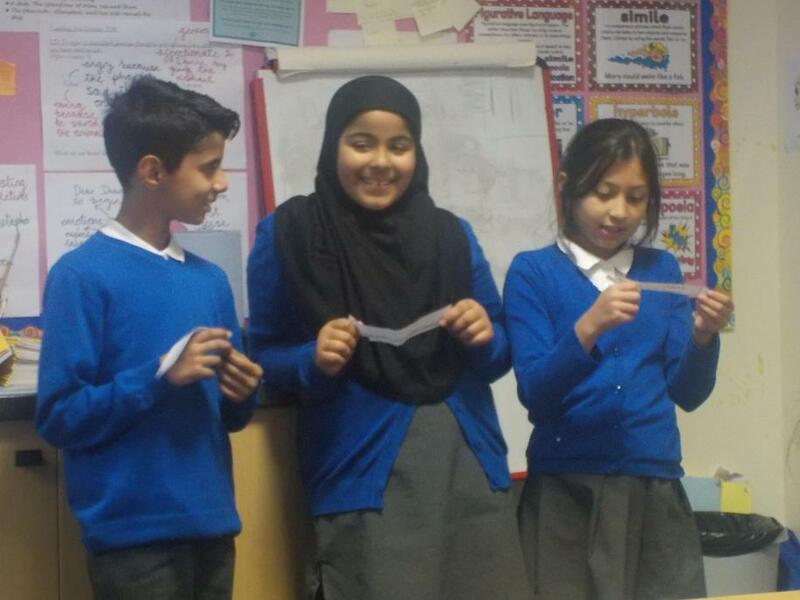 As part of the school charity Fund Raising, we will be holding a charity event on Wednesday afternoon. 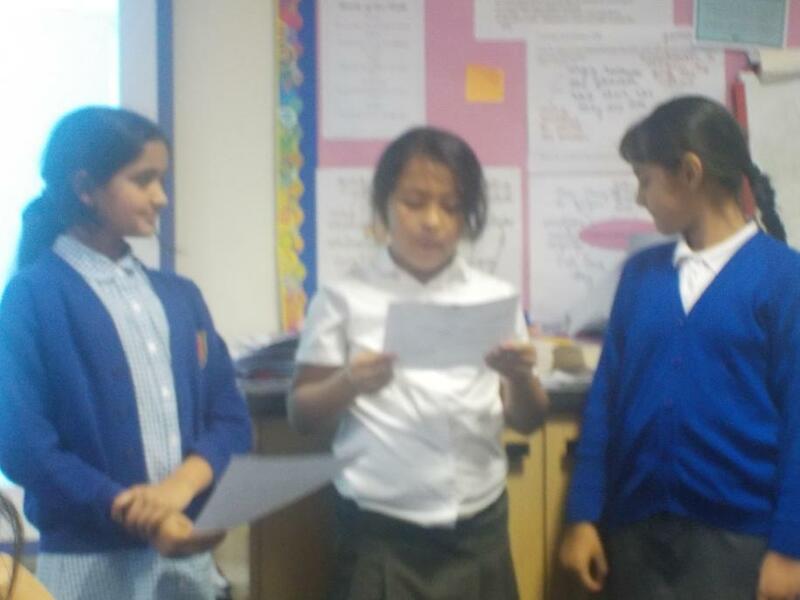 The charity that the children had chosen to raise money for was UK World animal protection. 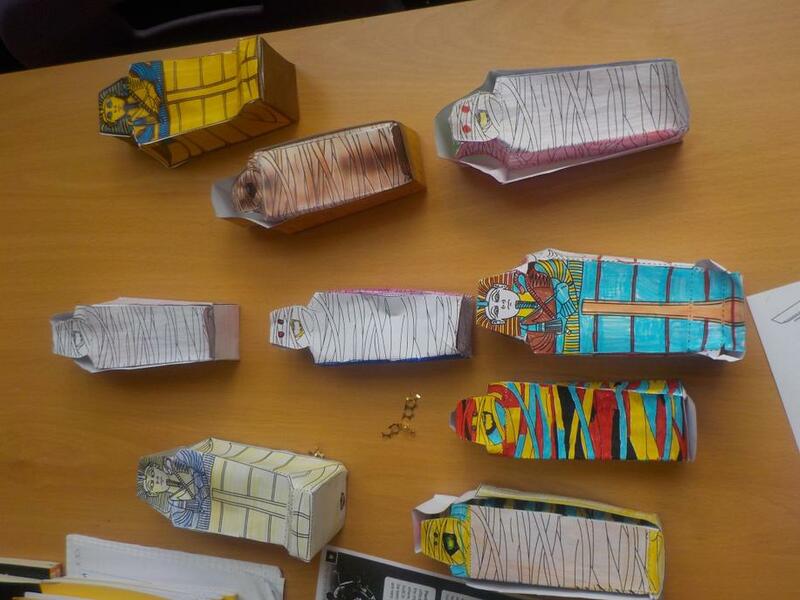 There will be treats available for children to purchase and opportunities to make donations. 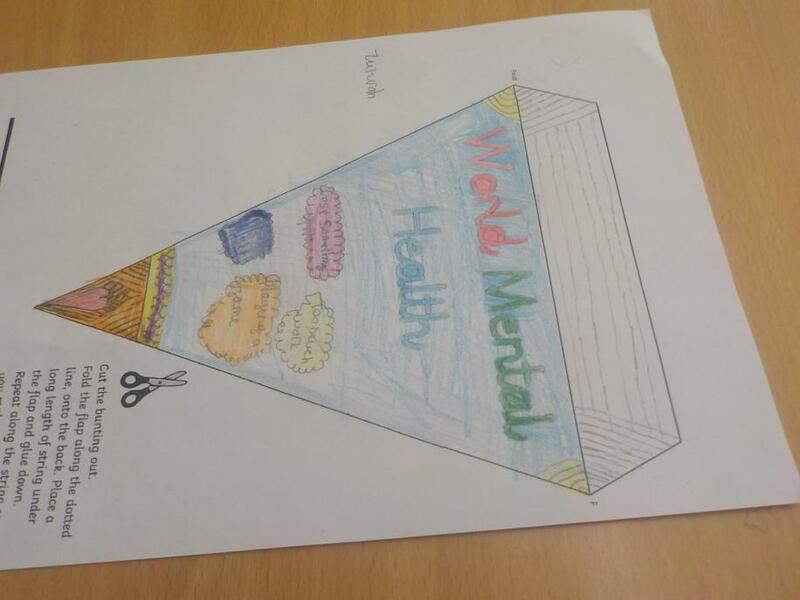 We hope you will encourage and donate to this cause generously. 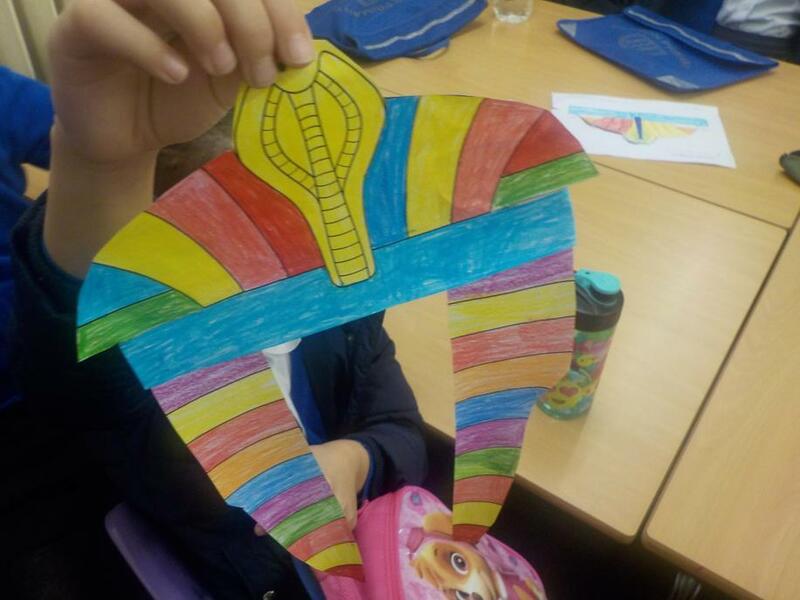 Reminder that Thursday is Friendship day! 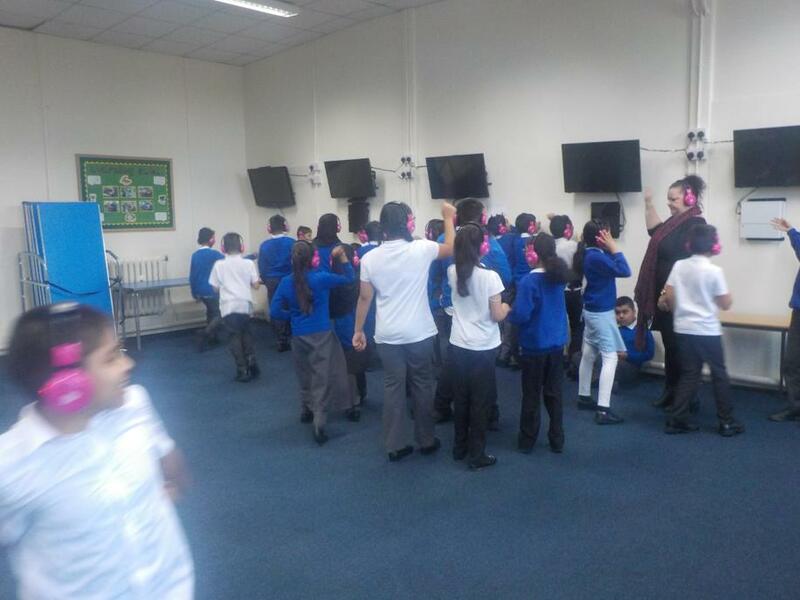 Children will have a special assembly and then a fun day around friendship theme! 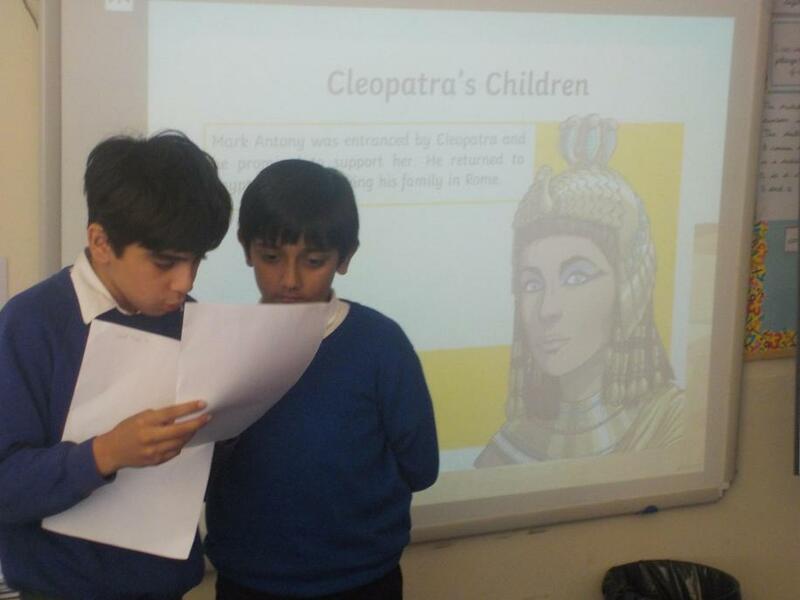 As part of our express, we learnt about the events that lead to the death of Cleopatra VII. 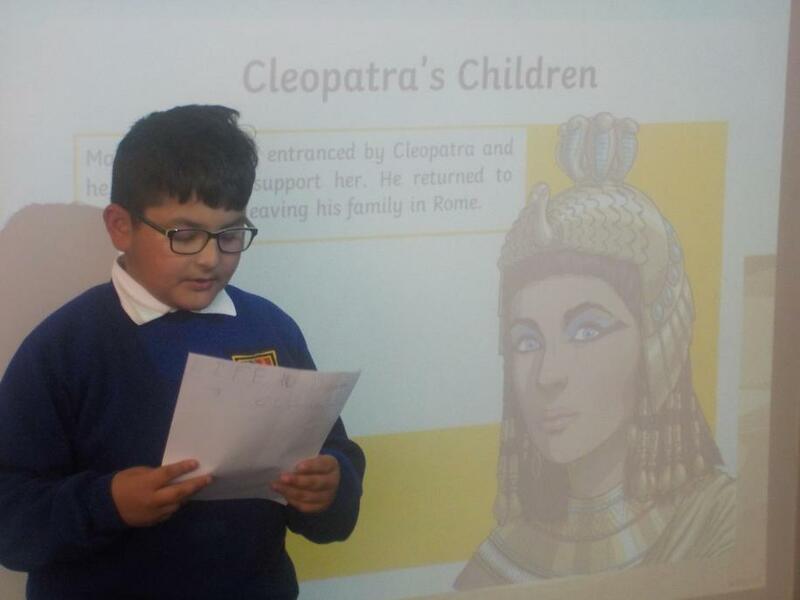 We researched using Ipads the different versions of how she died and then chose the one we thought was most reliable and accepted. 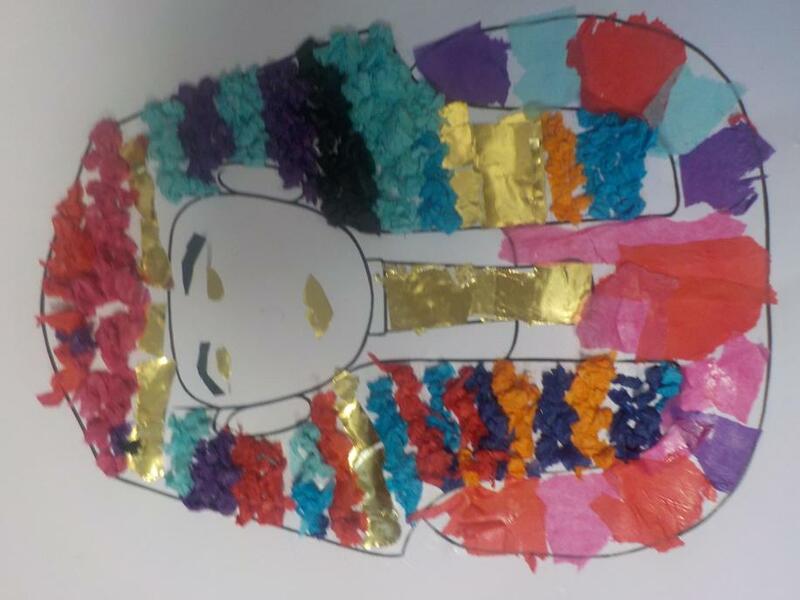 We then created posters during our computing lesson relating to her life and the version of her death we thought was most accepted. 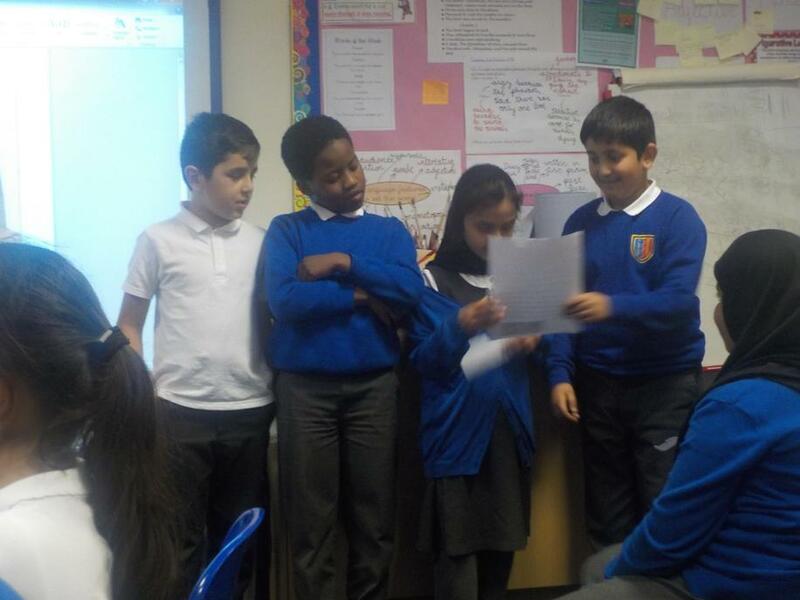 We then practised our presentation within our groups in preparation for our express. 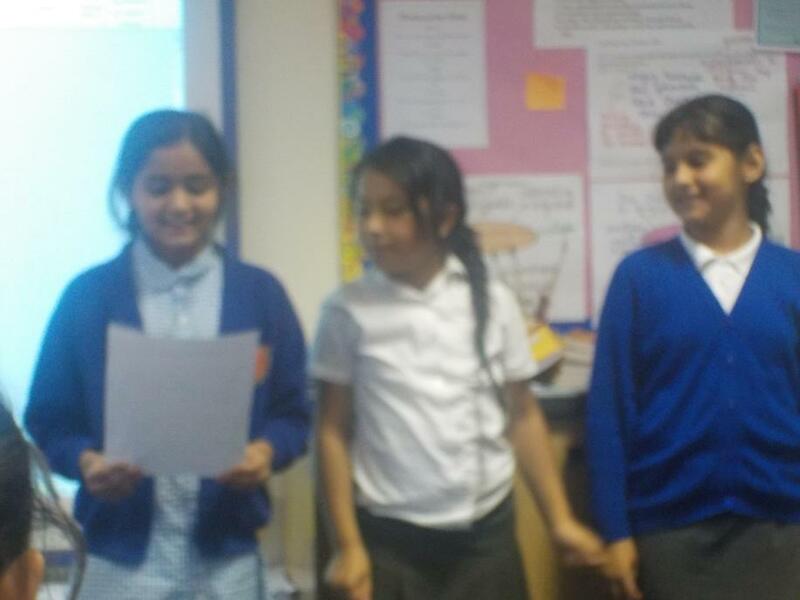 In the final lesson, we presented our presentation to the whole of the class. 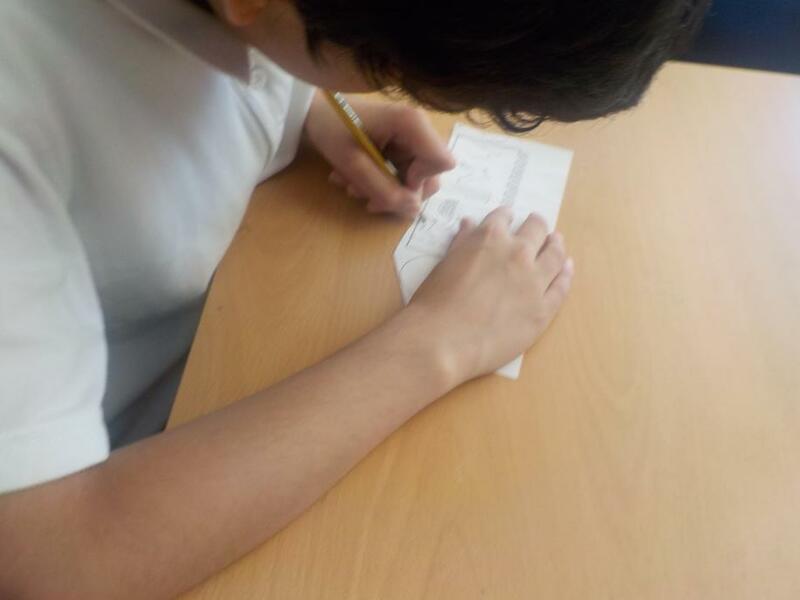 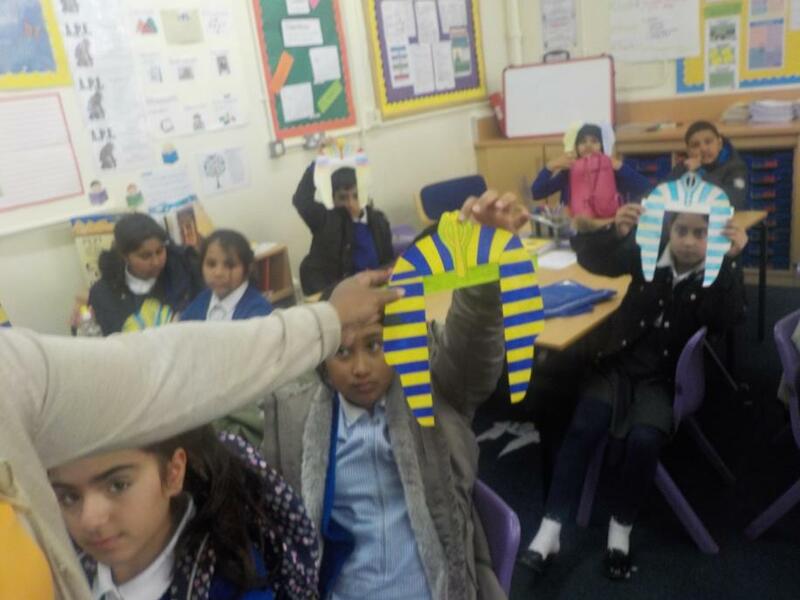 As part of our innovate day, in year 5, we have been creating various things using all of the facts that we have learnt about Ancient Egyptians this half term. 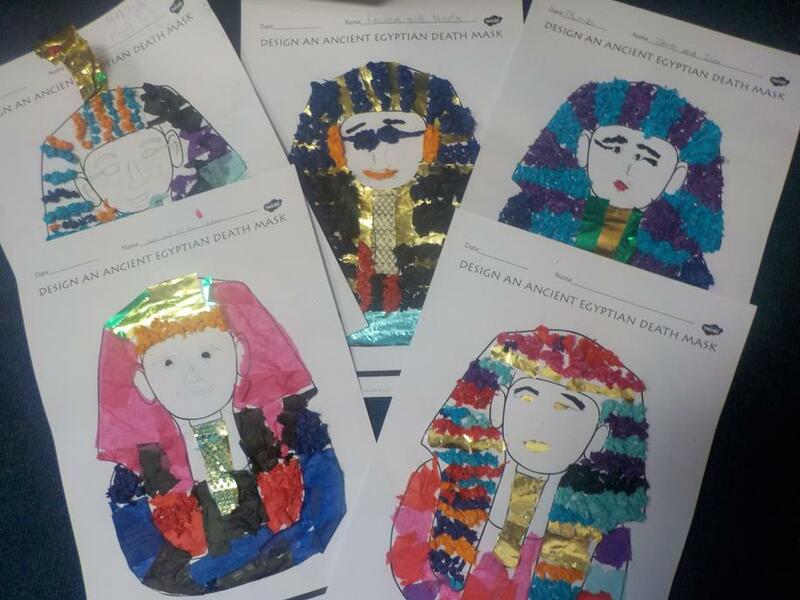 First, we created some amazing Death Masks using different materials. 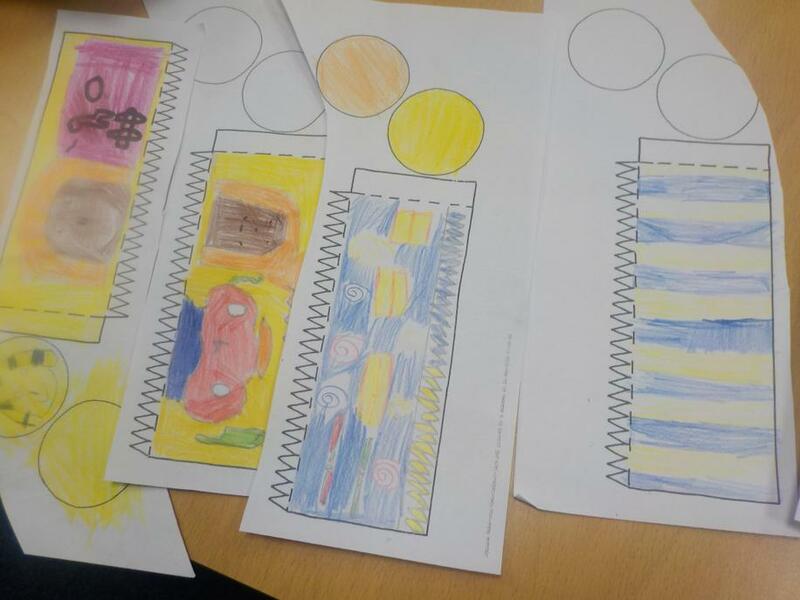 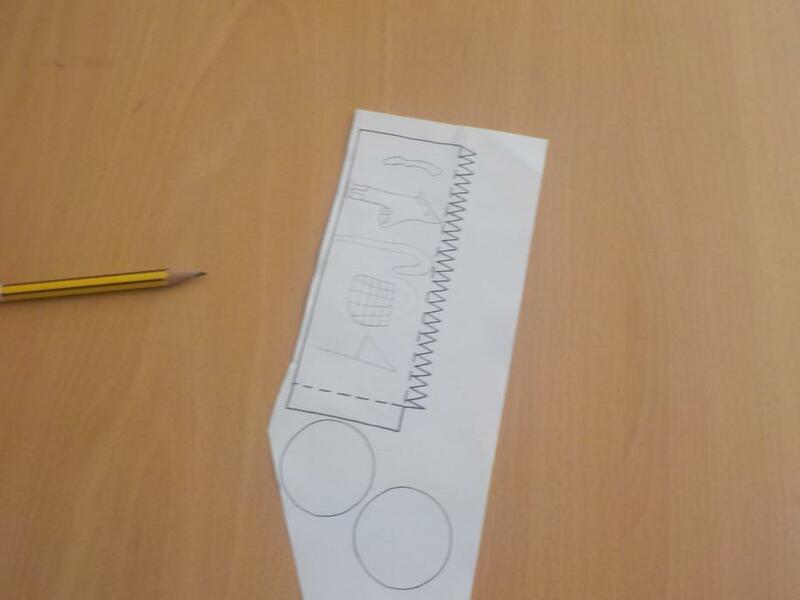 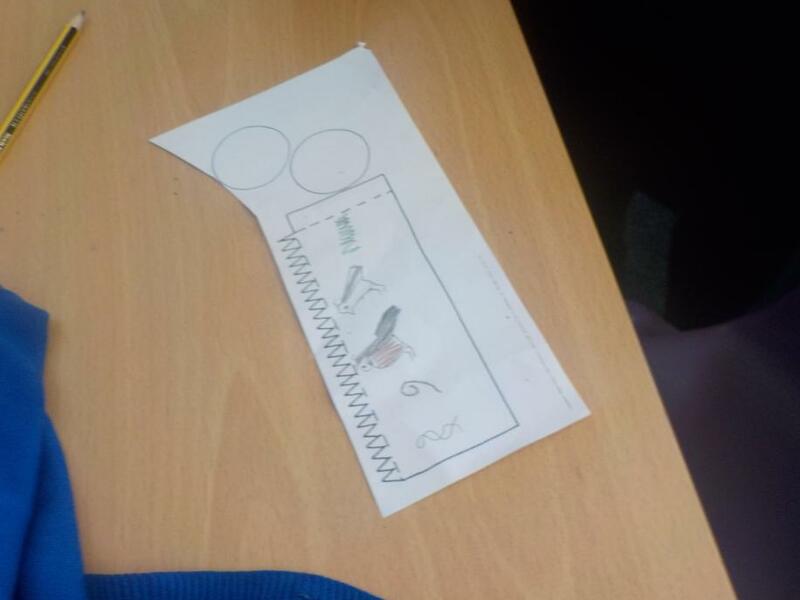 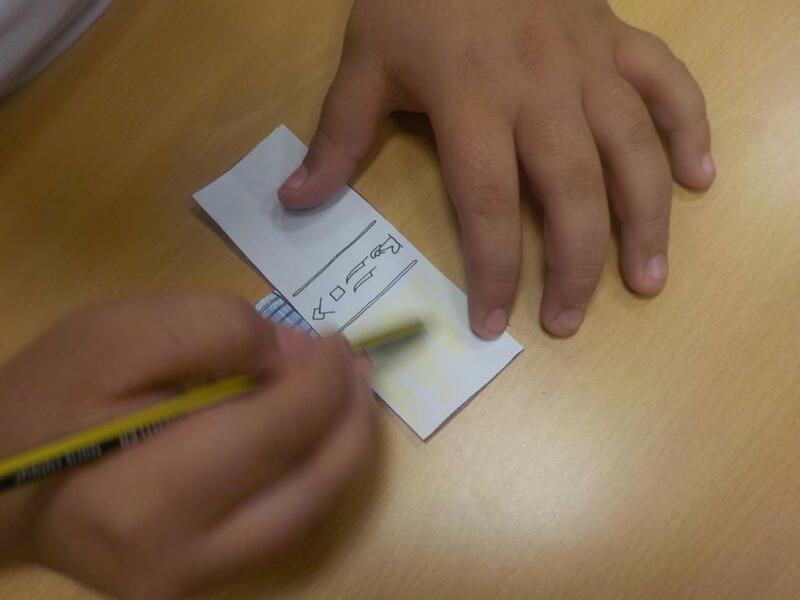 Then we learnt more about the Ancient Egyptian afterlife and designed our own sarcophagus and coffins using hieroglyphics. 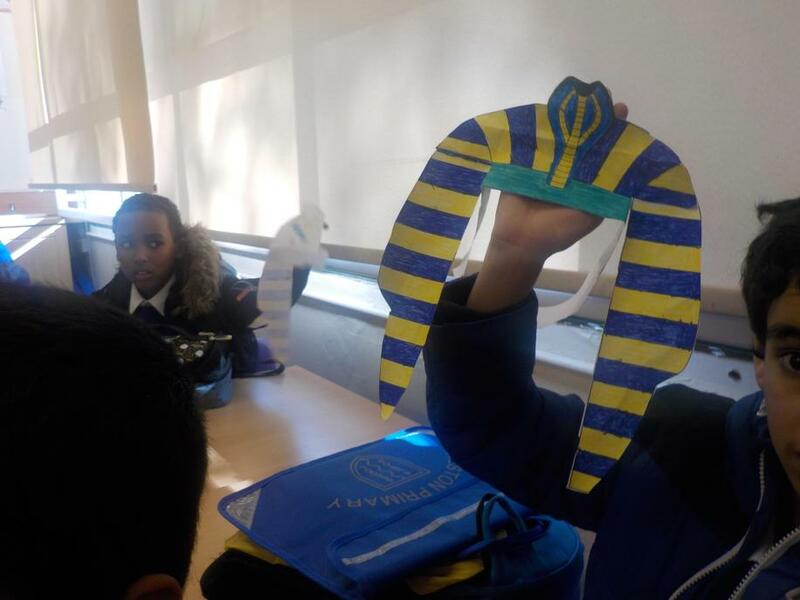 Finally, we had a fantastic time at Now Press Play where we imagined that we were in Ancient Egypt, sitting on the banks of the River Nile and stepping into magnificent Egyptian temples. 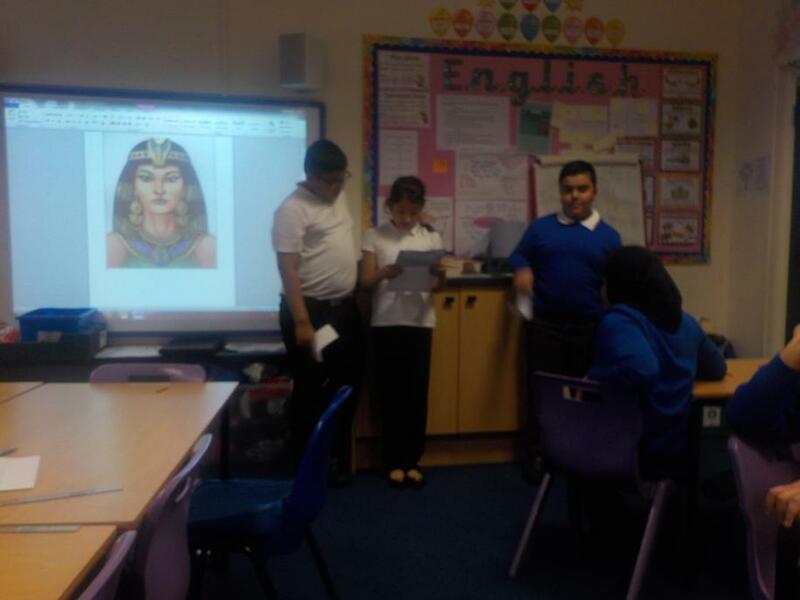 Before writing our diary entries, we had a go at using role play to help us think like Tutmose. 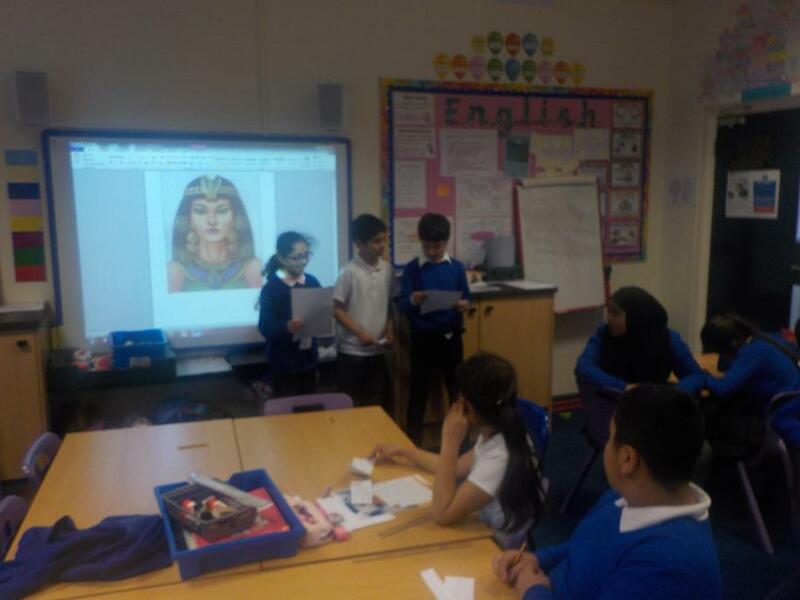 A few of us were lucky enough to sit in the teachers chair and act as Tutmose while the rest of the class asked us questions about Tutmose’s thoughts and feelings. 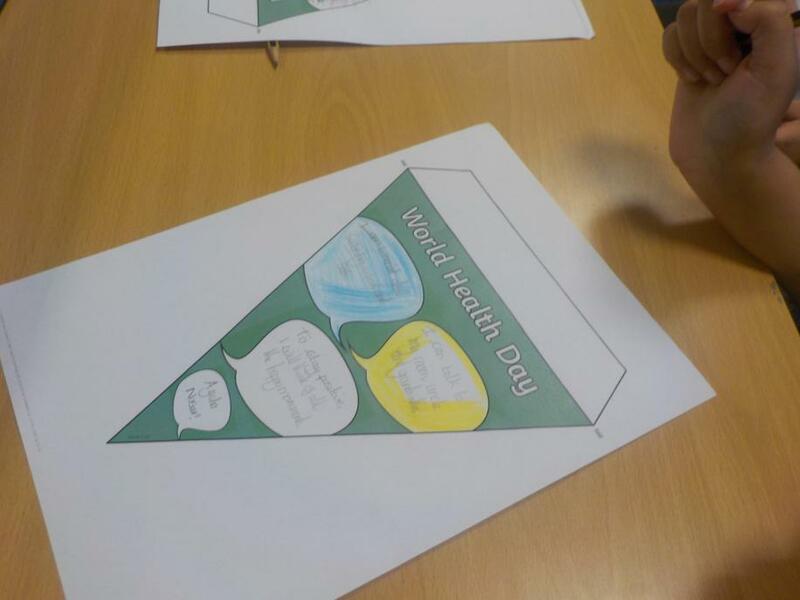 Today was World Mental Health Day! 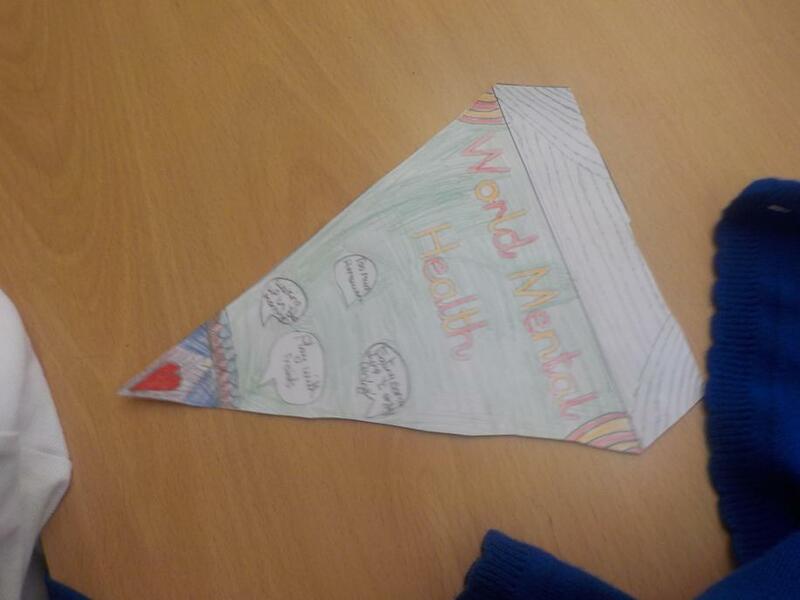 We began our day with an assembly regarding mental health day and to raise awareness. 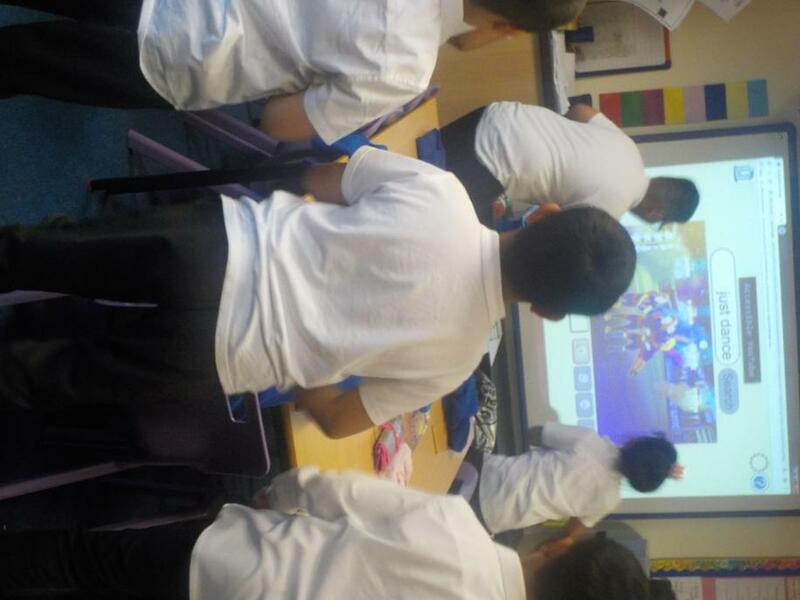 We then started our lessons with an Eric starter. 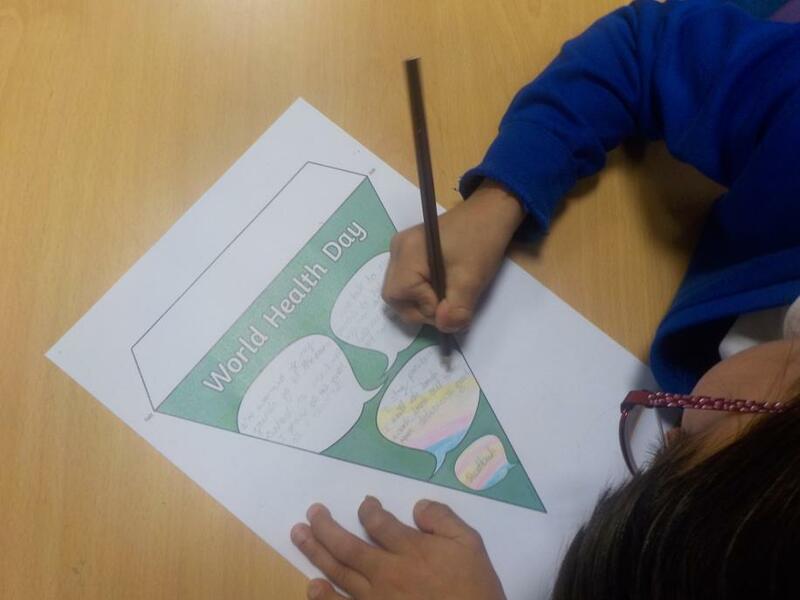 This day was extremely important as it plays a vital part in preventing child and adult mental ill health. 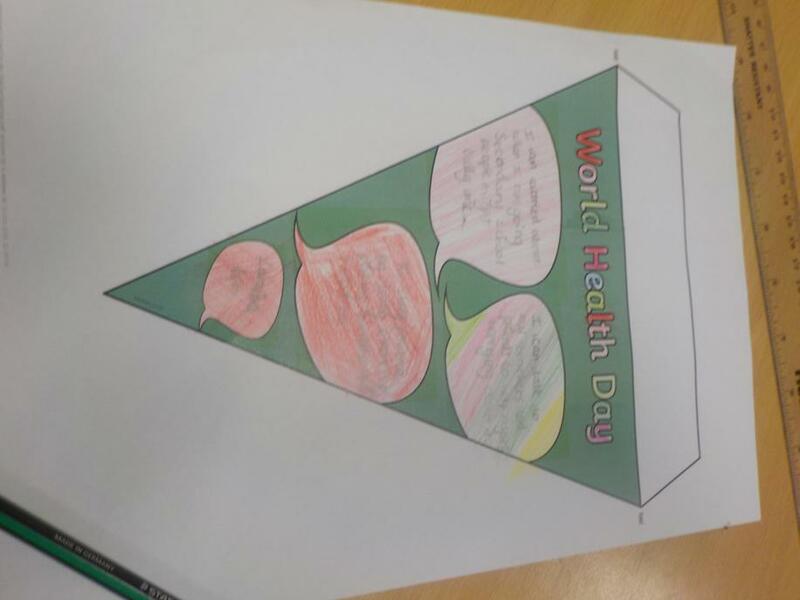 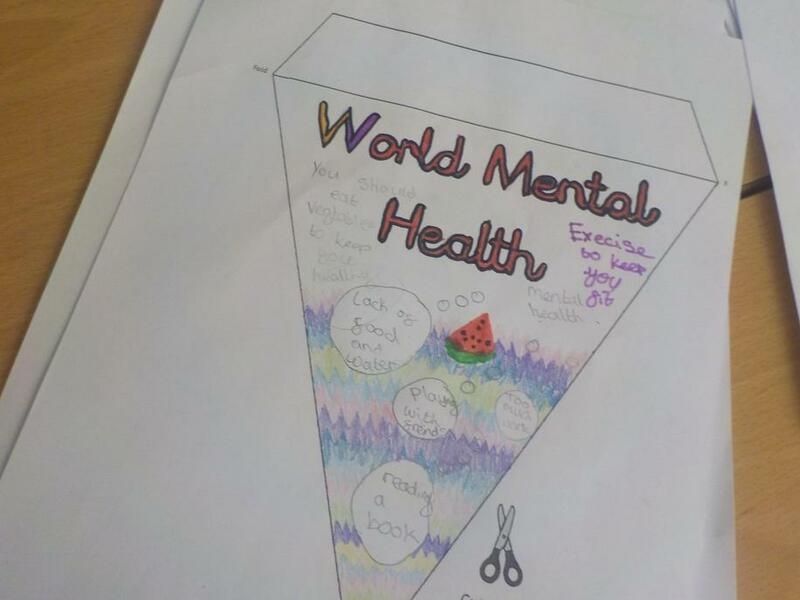 The ethos of the day was for us to communicate the message that we as a community need to remove the stigma attached to mental ill health. 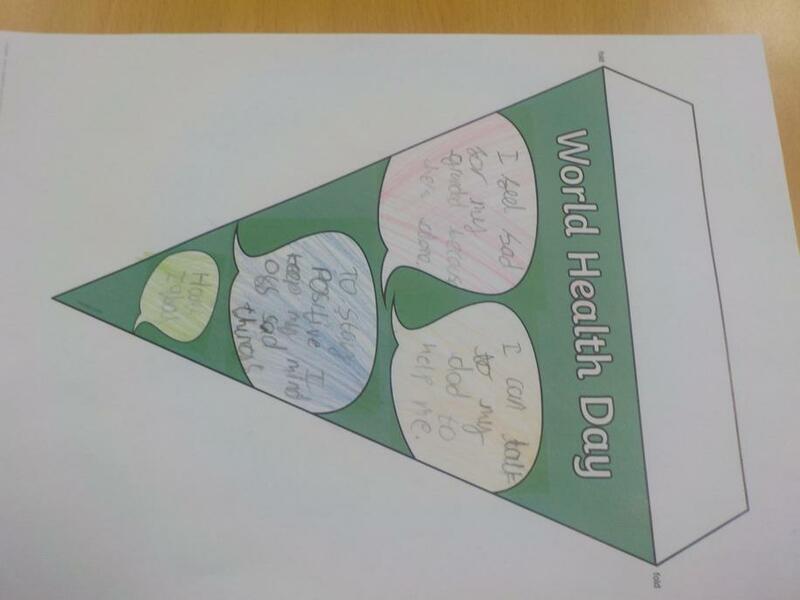 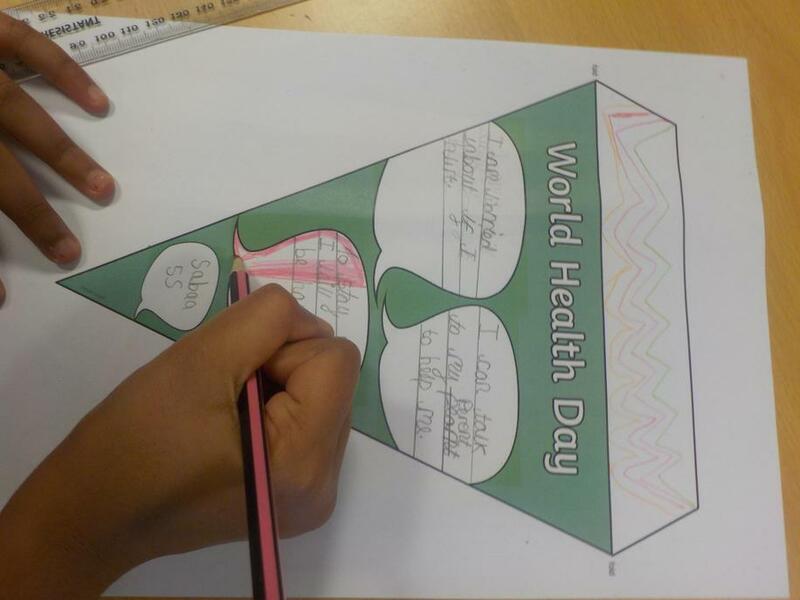 During the day we completed many fun activities around this theme! 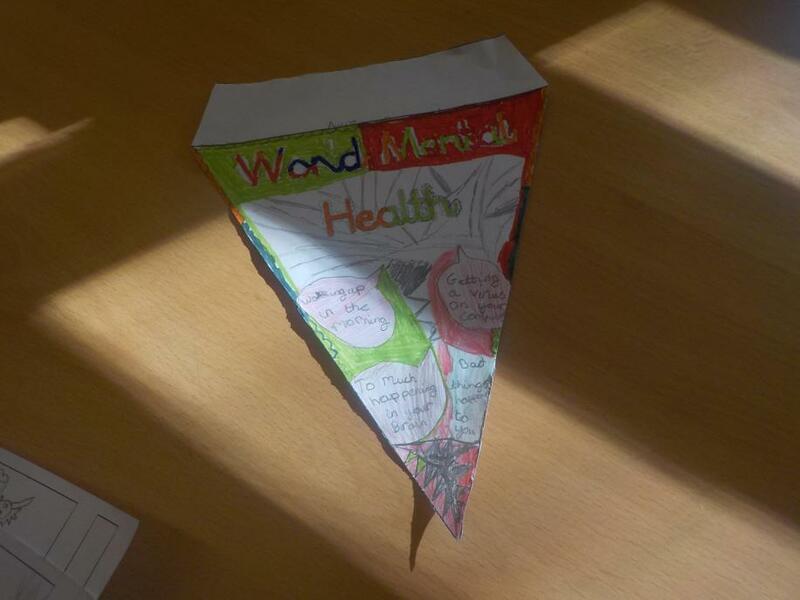 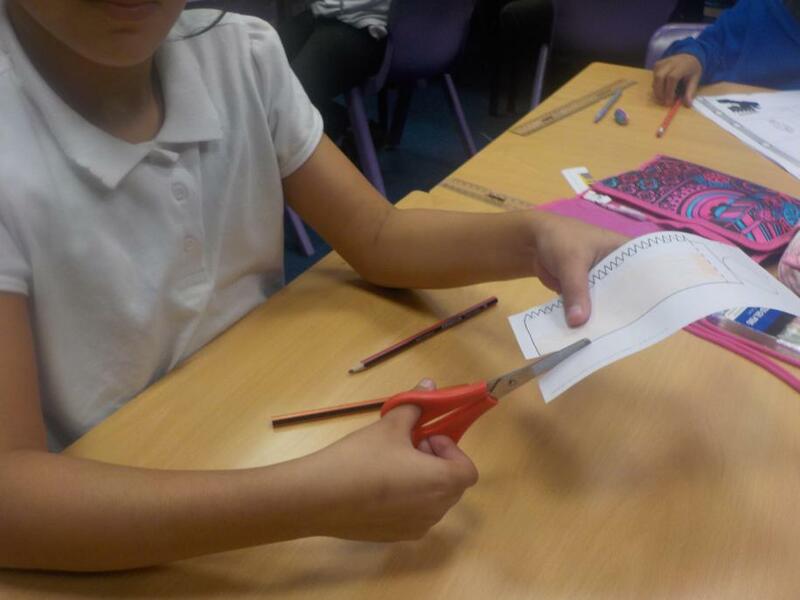 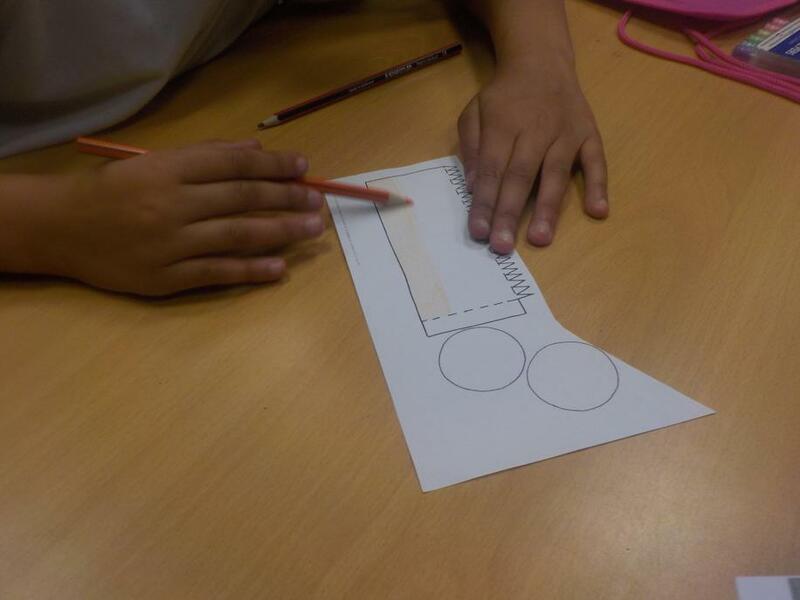 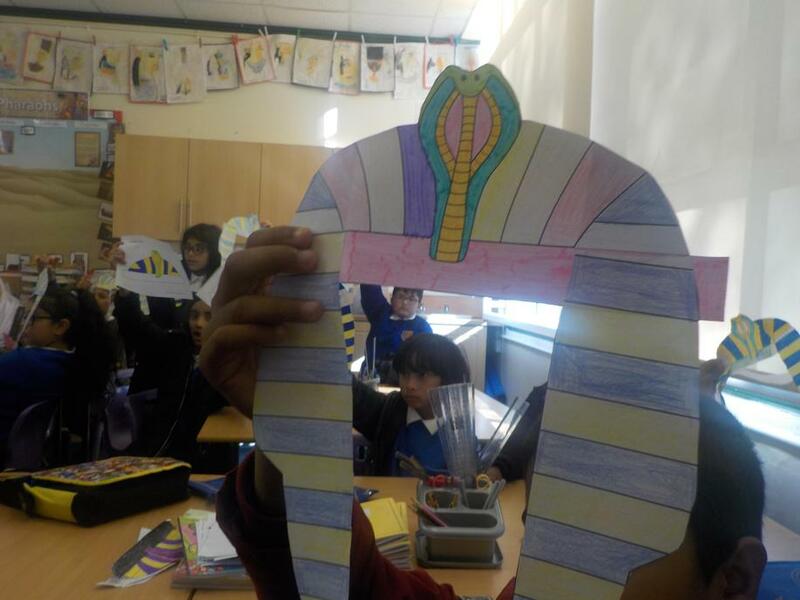 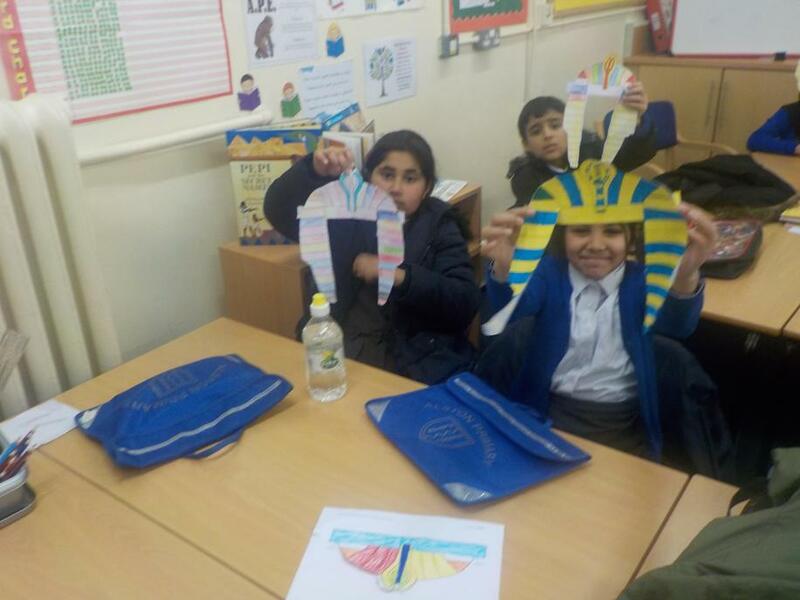 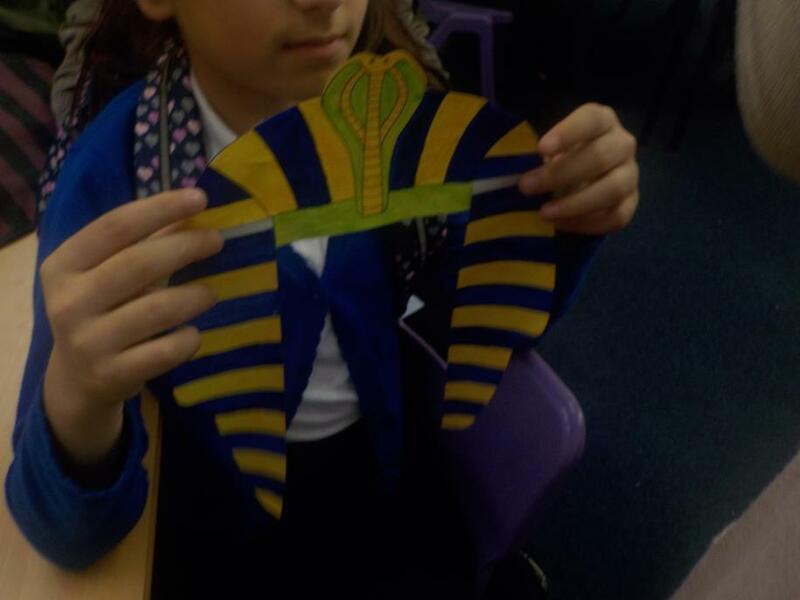 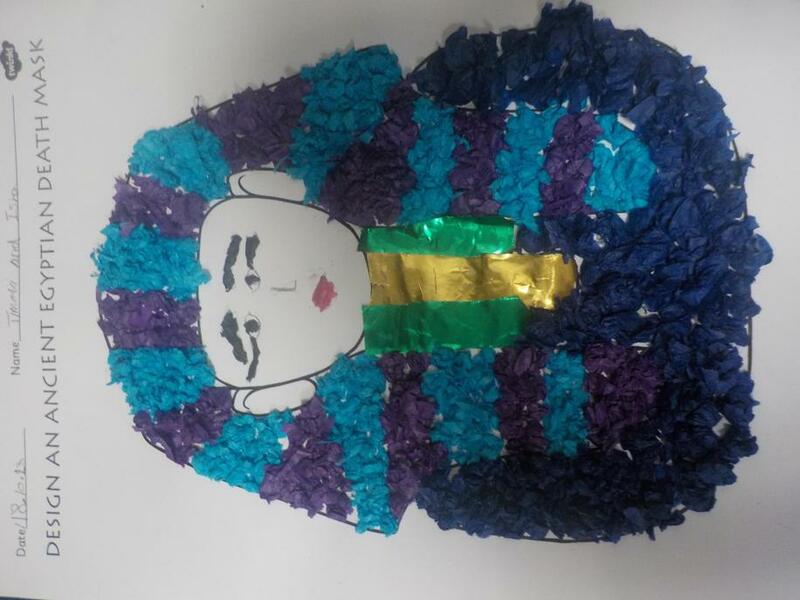 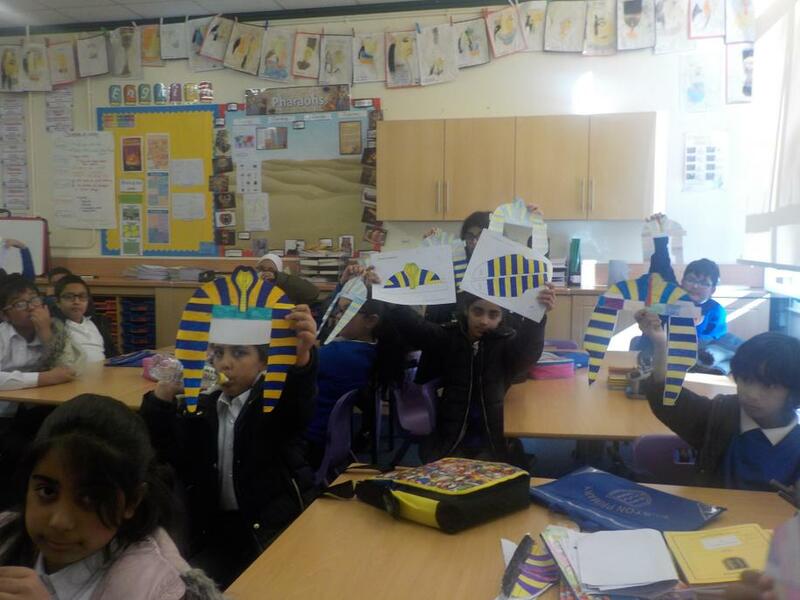 As part of our topic, we designed and made Egyptian headwear called Nemes. 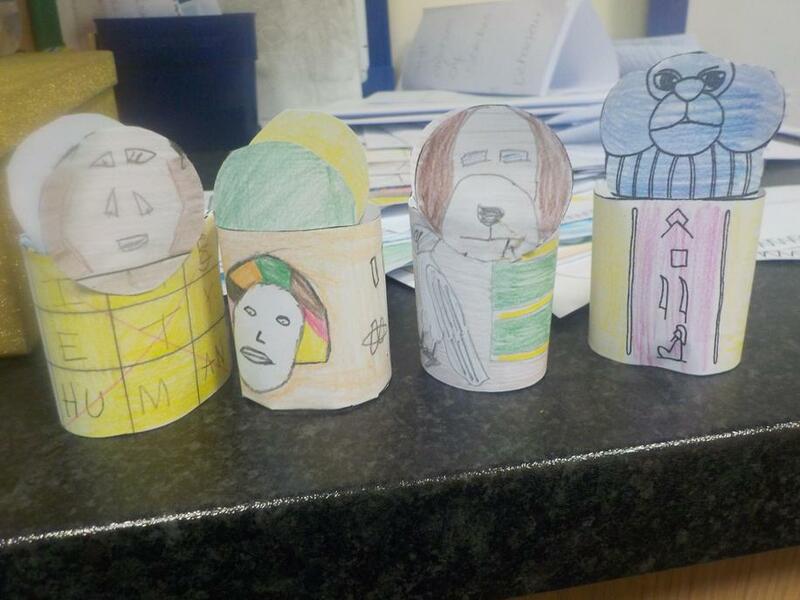 Today we have been learning about how canopic jars were used to store organs during mummification and how they were decorated based on different Gods. 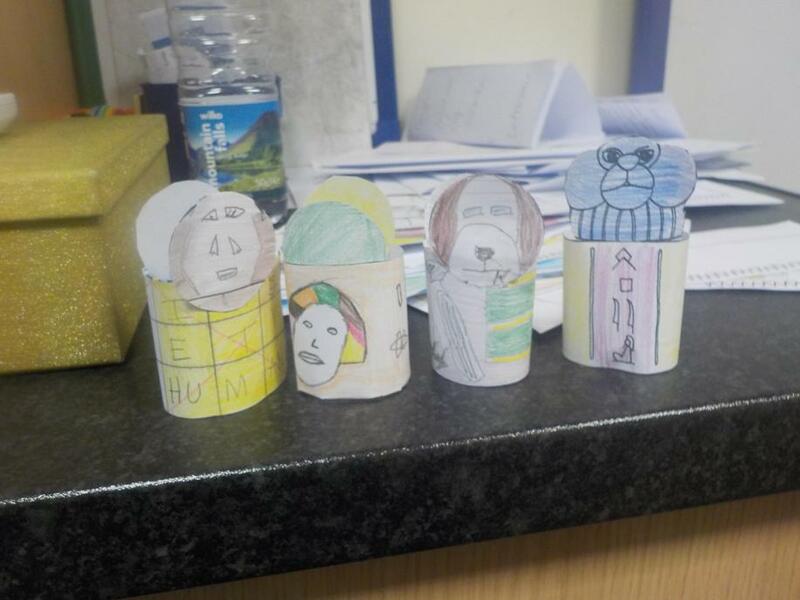 We have looked at a range of interesting examples and have had a go at creating our own canpic jars! 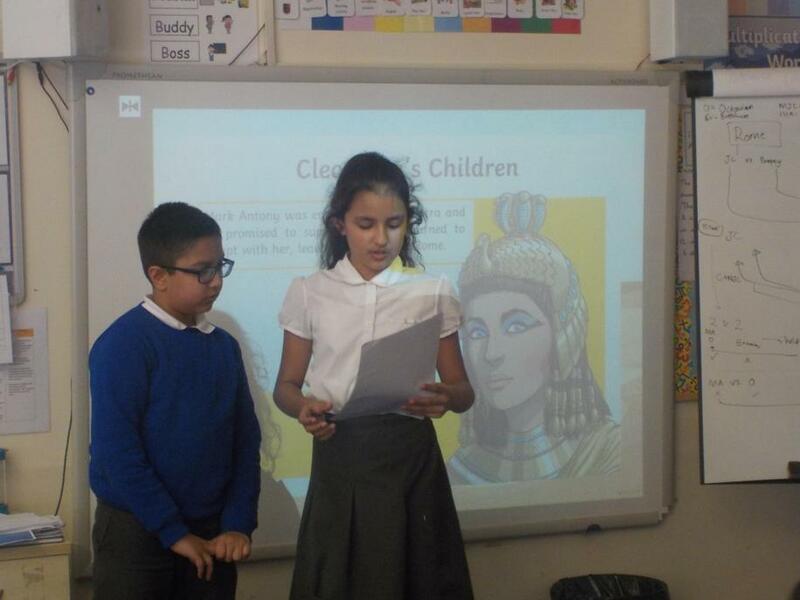 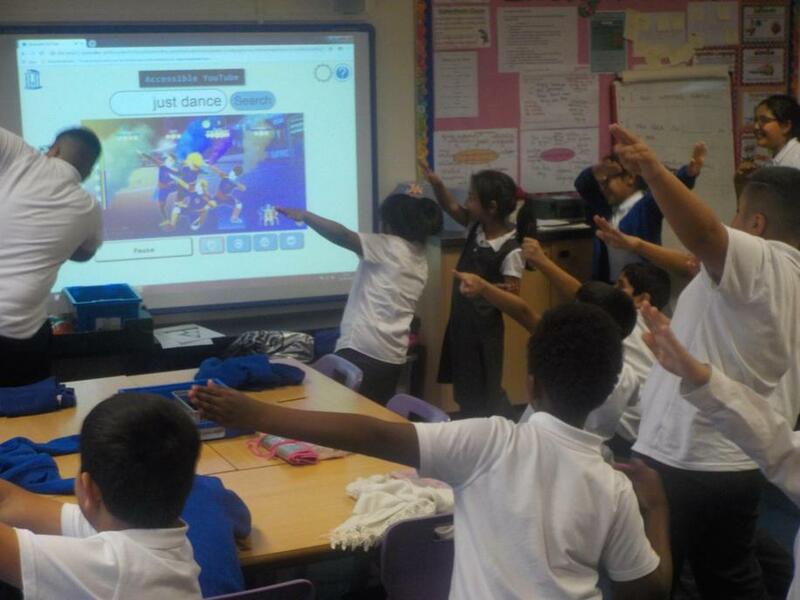 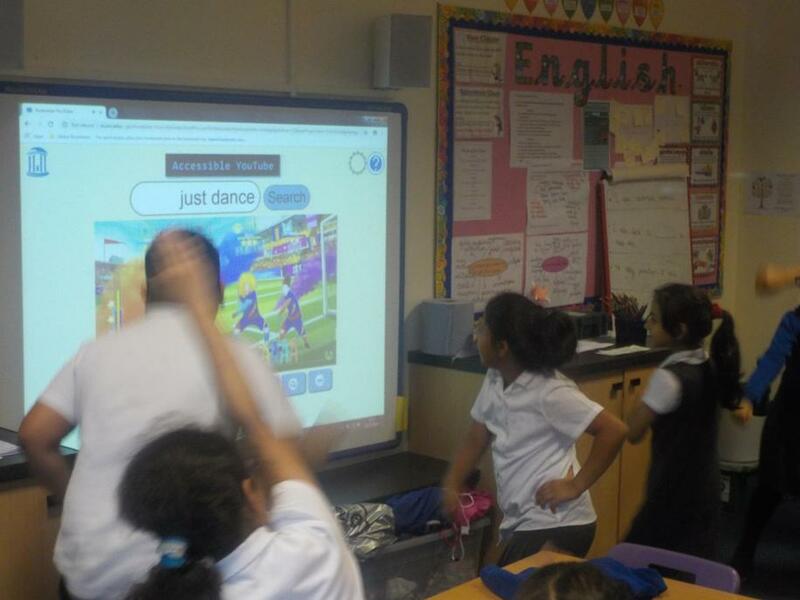 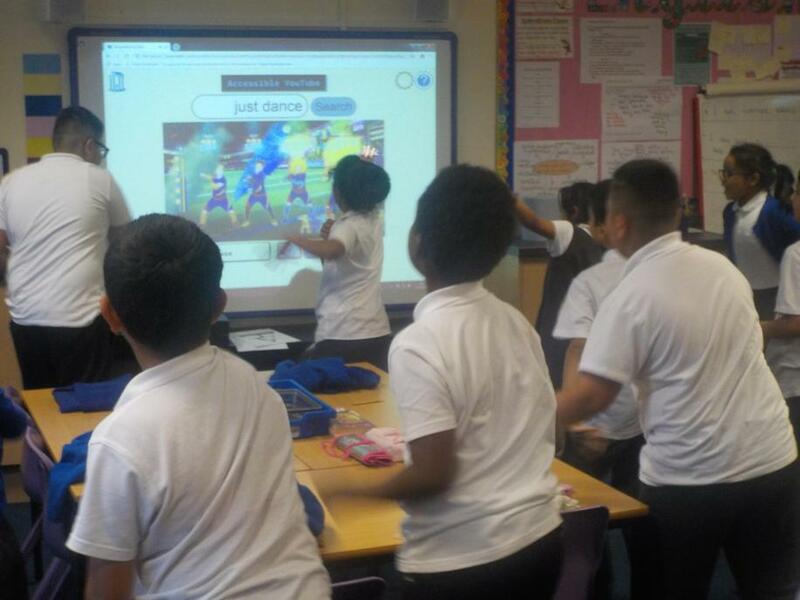 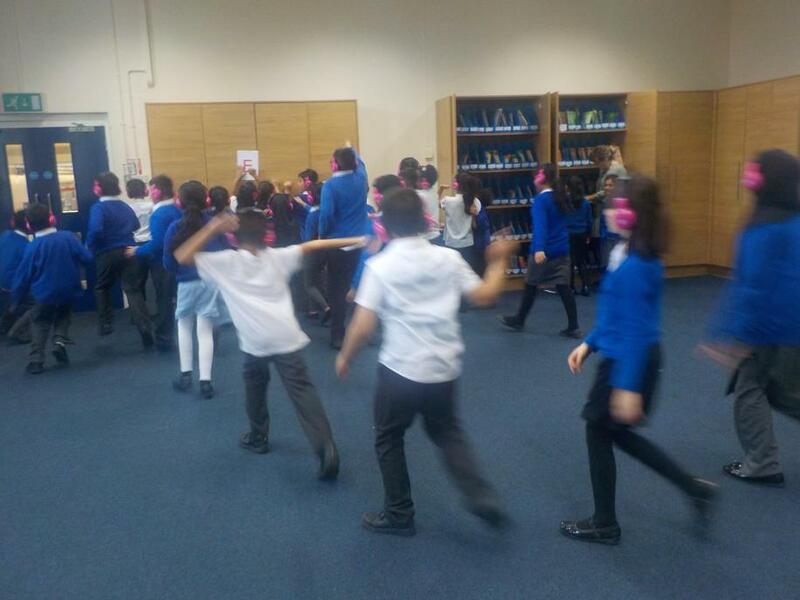 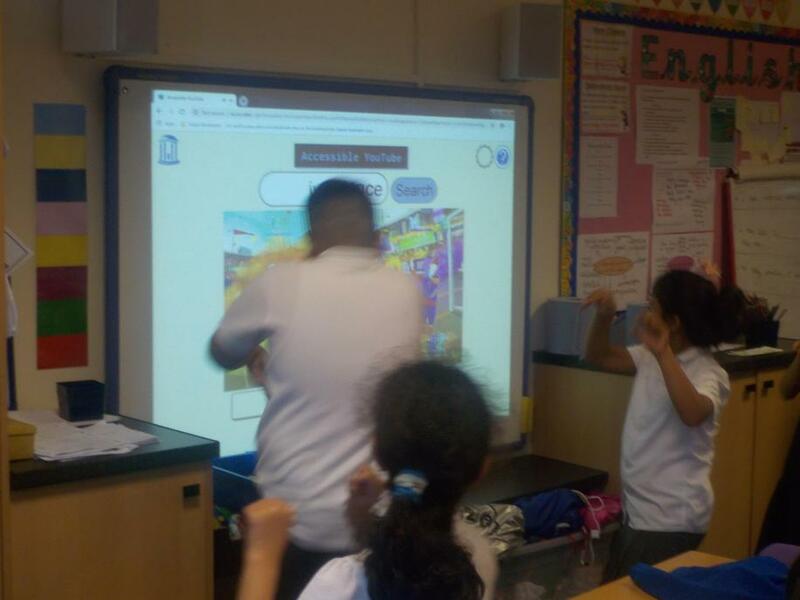 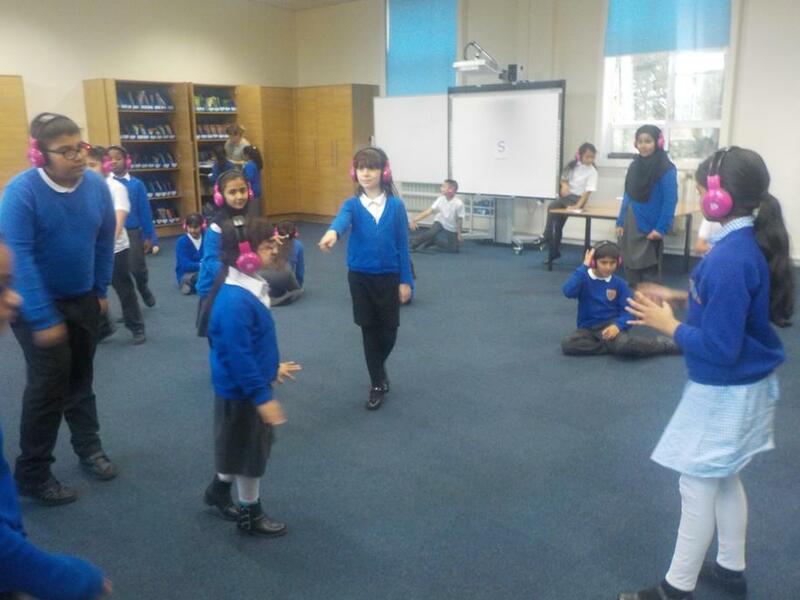 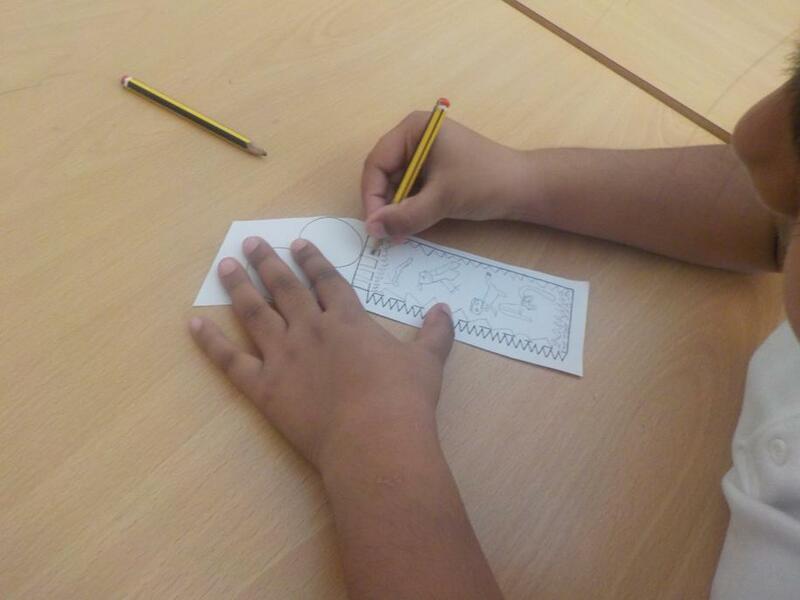 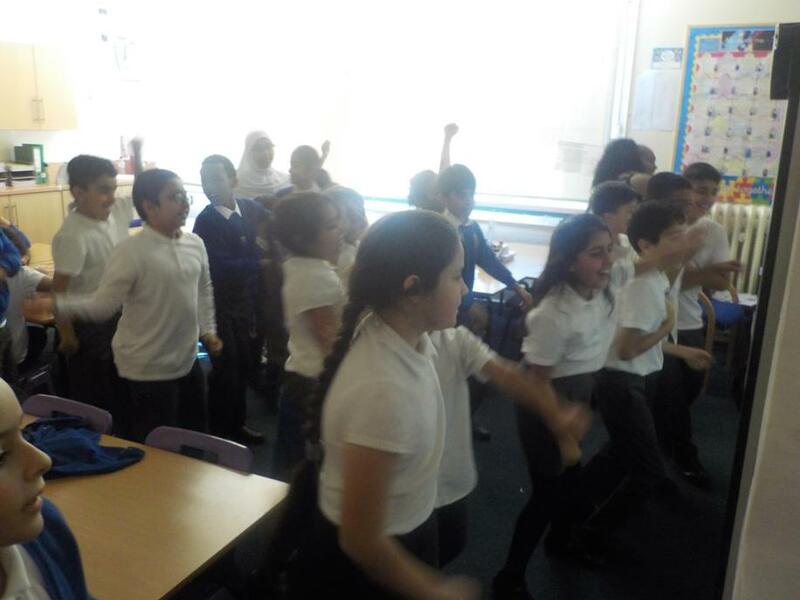 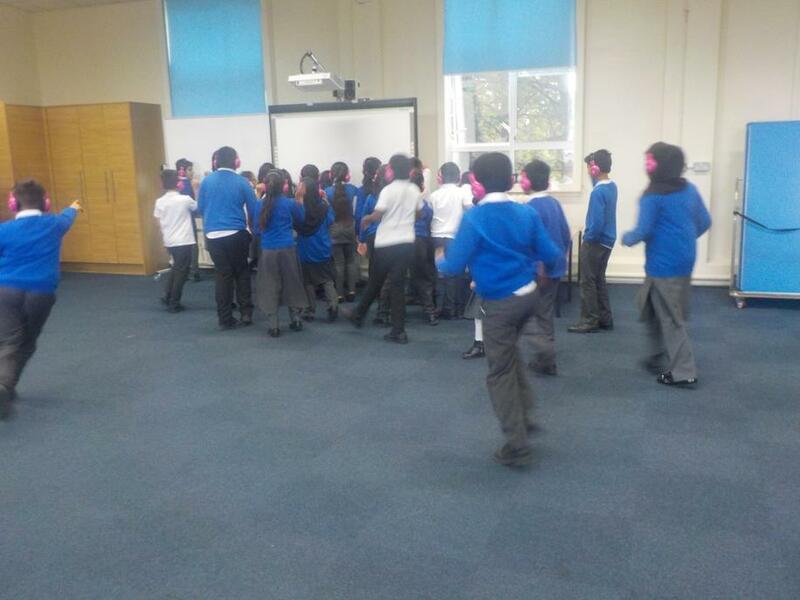 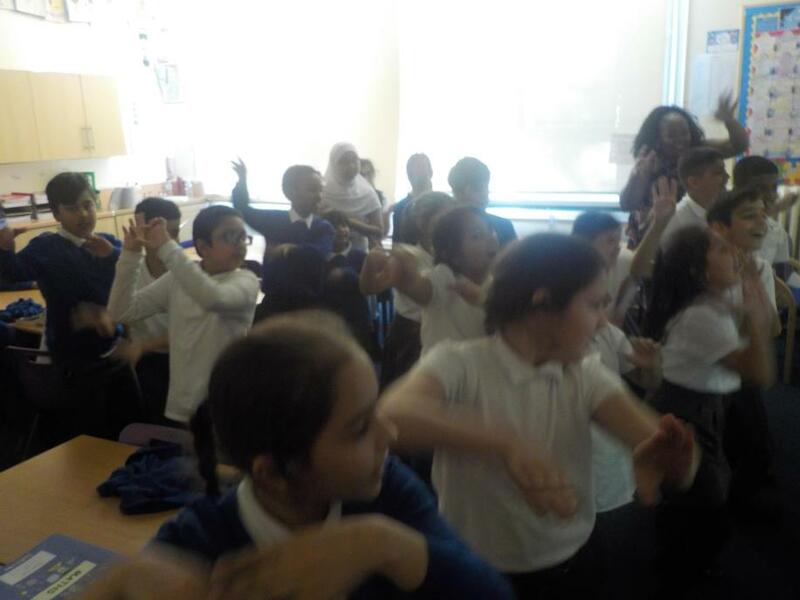 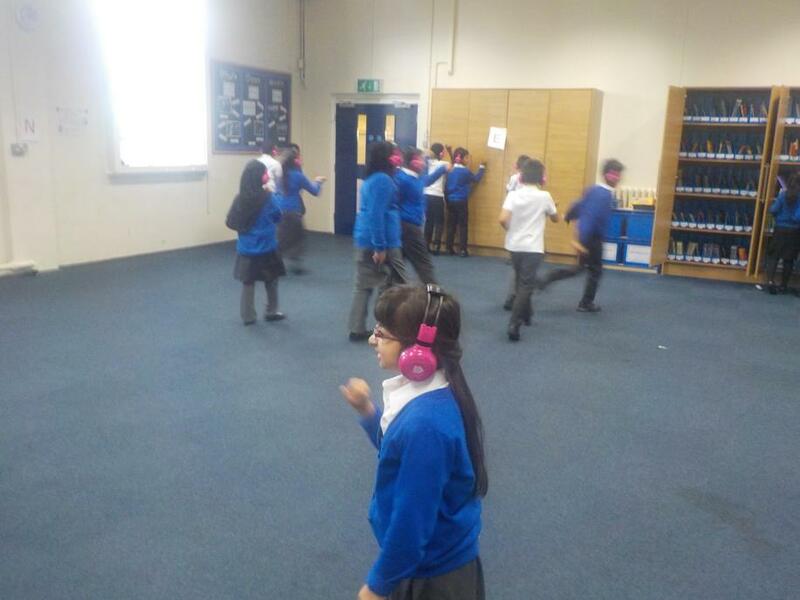 5A-Mr Ahmed is the class teacher and Mrs Bonner is the teaching assistant. 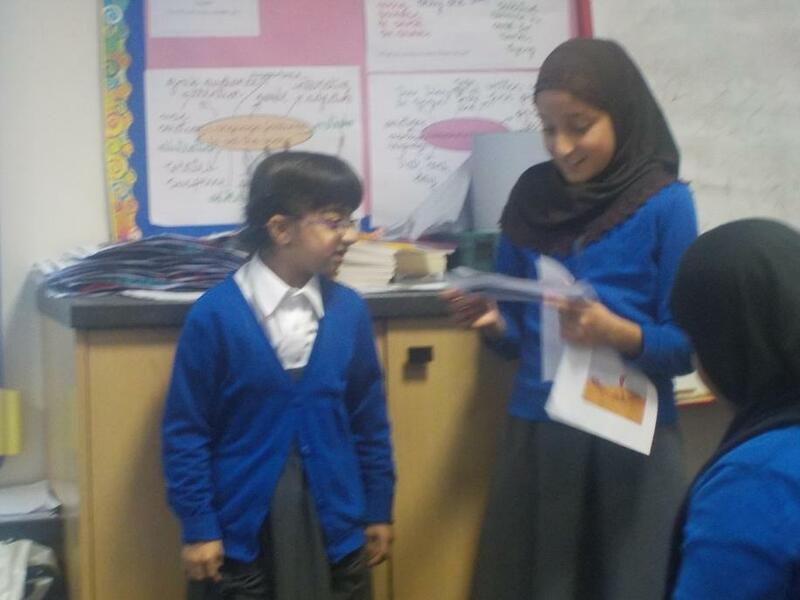 5S- Miss Shaheen is the class teacher and Mrs Powell is the teaching assistant. 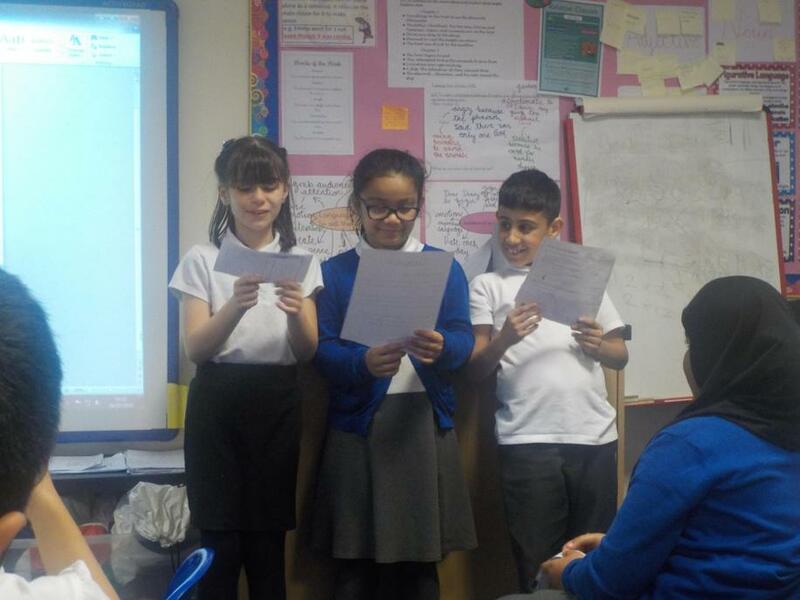 5F-Ms Fiellateau is the class teacher and Mrs Nash is the teaching assistant. 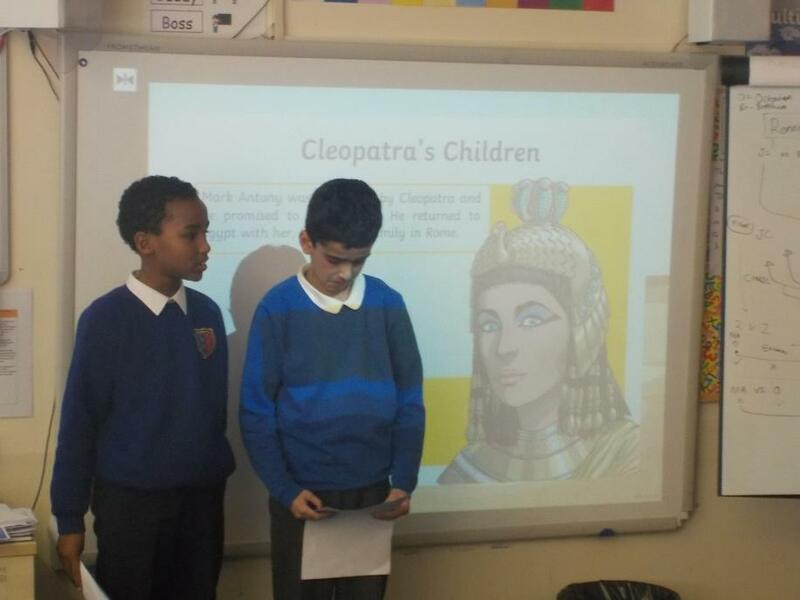 We will regularly update this page with work and activities that have been completed in our classes and any information that needs to be shared with you. 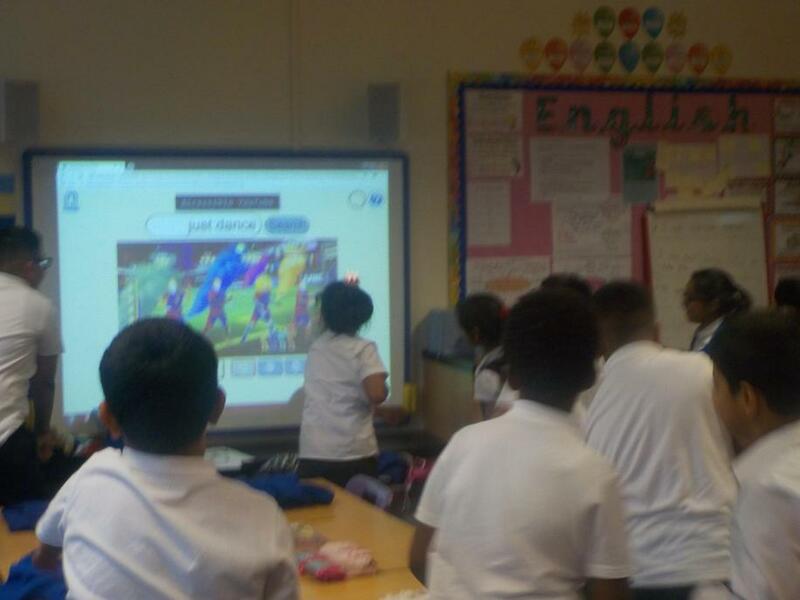 The year 5 team are looking forward to the year ahead! 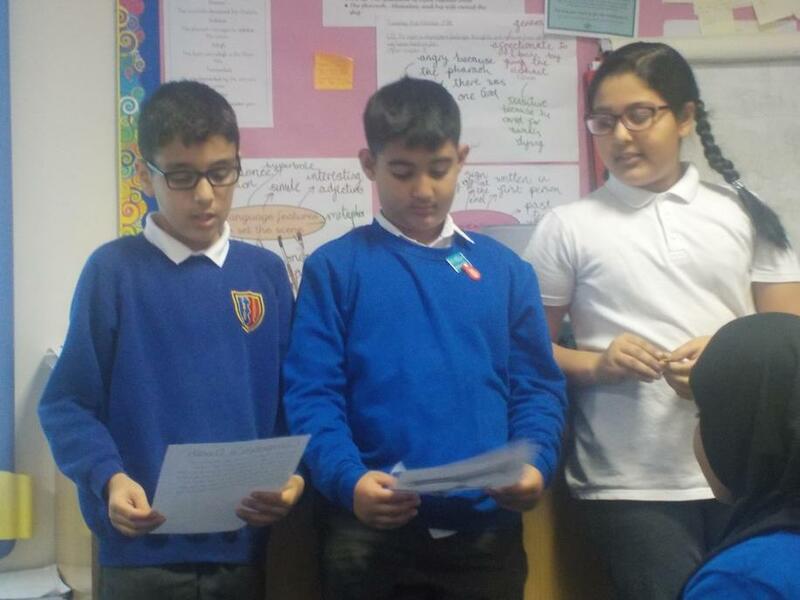 Please watch this space for weekly updates!